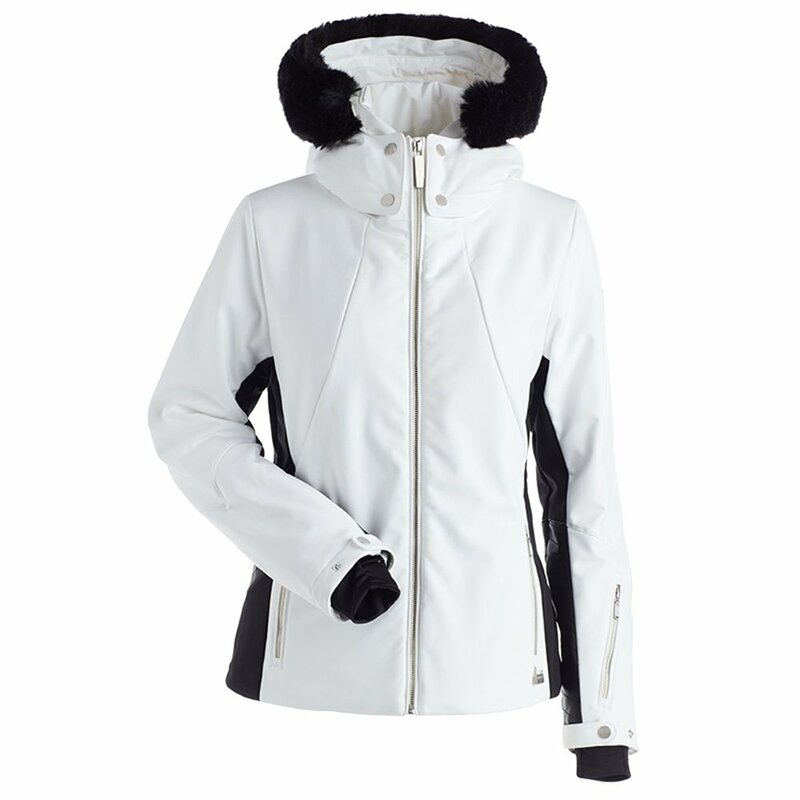 The Nils Pia Insulated Ski Jacket with Faux Fur blends sensational looks, robust winter protection, and impressive organization so you can keep fully prepared on the slopes and in the village. The stylish dual-color 3-layer fabric is accented with gorgeous removable faux fur and faux leather trim for a truly elegant but eco-conscious look. That fabric also features 4-way stretch for more fluid movement on the snow. A Thermo Extreme insulation package creates a glowingly warm microclimate inside, regardless of how cold it is outside. And the Nils Pia Insulated Ski Jacket brings pockets ... lots of pockets. You'll find dedicated space for your sunglasses, lip balm, smart device, and goggles, keeping everything secure and accessible.